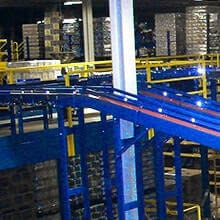 Maximize Your Efficiency with Automated Conveyor Systems. Is your company looking for a high quality automated conveyor system built to last? 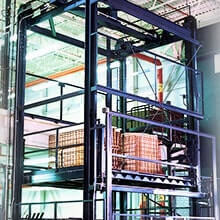 Look no further than Material Handling Technologies for your needs. 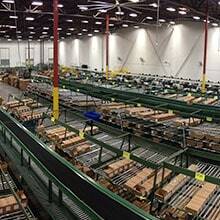 Innovative Solutions for Material Handling Distribution Centers. Call on the experts at Material Handling Technologies if your system is in need of a tune-up. Experience Material Handling Solutions Customized Just for You. We understand no two companies are the same. 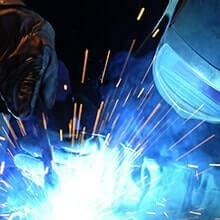 We offer custom fabrication to provide you with material handling solutions tailored to your unique needs. 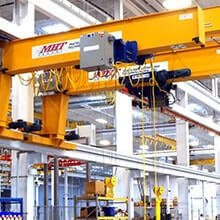 Reach New Heights with Crane Systems from MHT. Your crane and lifting systems should be designed to meet both your functionality and safety demands. Our cranes take it to the next level. Let Material Handling Technologies Handle the Heavy Lifting. When you need something moved size can't be a restriction. With our vertical lifts, it's not. Find out how MHT can provide you with a custom solution today. "I was looking for a custom automated conveyor system and the team at Material Handling Technologies helped me create and install a custom solution quickly and on-budget."